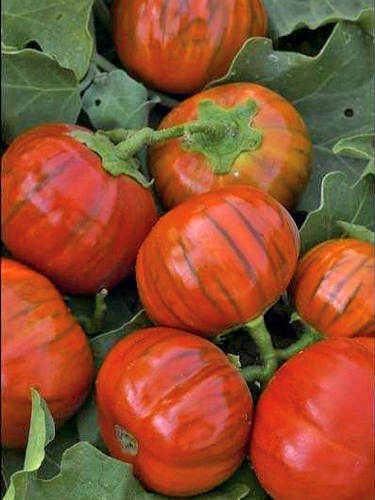 Stunning red-orange heirloom variety from Turkey. The small round fruit, 7cm/3" in diameter, are eaten when green, and when they turn orange they are good for stuffing. Heavy yields and insect resistant. Ht. 50cm/20".